Learners are relatively safe when supervised. This is the best time to learn safe driver skills and why Victoria has a long learner period and a 120h requirement. When people start driving independently on a probationary licence they have the highest crash risk of all groups. This is why there are probationary restrictions and a Graduated Licensing System. Although still relatively high, crash risk decreases for the first few years of driving. This is why there is a 4-year probationary period for most new drivers. Crash risk will slowly decrease for many years after you get your licence. 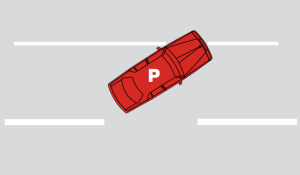 On approach you need to slow at the right time, drive at a safe speed and decide whether you’ll stop. Be aware of road users as cars might change lanes or stop suddenly and pedestrians might be about to cross. 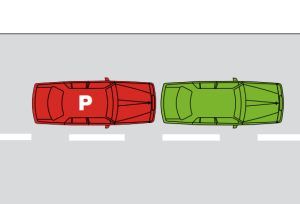 Use mirrors, head checks, indicators and gear changes at the right times to choose a safe gap and change lanes. Be aware of potential hazards like oncoming cars and road users around the intersection. Safe gap selection is a significant challenge for new drivers. Head check = looking over your shoulder through the rear side windows (don’t look away from the road ahead for more than a second). These mistakes relate to new drivers concentrating too much on car control skills rather than observing the road environment. Inexperience causes new solo drivers to have a high crash risk. Getting at least 120 hours supervised experience as a learner is the best way to reduce your crash risk. Travel at speeds suitable for conditions and the road environment. Slow down on unfamiliar roads and areas. Don’t go beyond your driving skills or car’s limits. Reduce speed before entering intersections. Wait for a safe gap before turning. If you can’t see if any traffic is coming – WAIT! 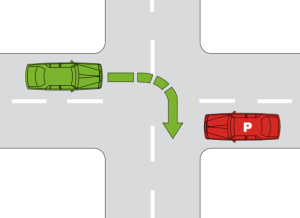 Slow down before entering intersections and look out for vehicles turning across your path. 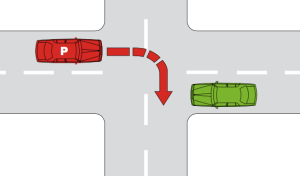 Don’t change lanes near intersections. Don’t assume another driver will give way to you. Travel at speeds suitable for traffic conditions.